An In-Depth CoolWallet S Review: How Cool Is CoolWallet S? The world of cryptocurrency wallets is a competitive one indeed. Many different companies strive to create “the next best thing” – which is great, especially if you’re a user that needs a good crypto storing device! Once in a while, however, there comes a product that rocks the entire community and sends people down into months of discussions and comparisons. In this review, we’ll be talking about one such product – the CoolWallet S hardware cryptocurrency-storing wallet. I’ll start off by telling you about the company – how it came to be, what it strives to become and everything in between. After that, we’ll move on to talking about the actual product itself – I’ll tell you what it is, how it works, how you can set it up, what coins the CoolWallet S supports and so on. Let’s not waste any time and jump straight into it. 7 How to Set Up? It would be rather tough to talk about the CoolWallet S without knowing the context of the company behind it, don’t you think? That’s why, before we go on and start unrevealing the wallet, we’ll cover CoolBitX – the company behind the world’s first mobile hardware cryptocurrency wallet. CoolBitX launched back in 2014, in Taiwan. The founder and CEO, Michael Ou, learned that mobile hardware crypto wallets are the future when hackers managed to break into Mt. Gox and steal cosmic amounts of money shortly after the inception of Mr. Ou’s company. A reliable, functional and easy-to-use cold wallet was the goal for CoolBitX. In 2015, the company managed to launch their first crypto wallet – the CoolWallet. This campaign was powered and supported by people that decided to back it up on Indiegogo (a crowdfunding platform). After the experiences of the first launch (and a lot of ticket and support inquiries later), CoolBitX had enough data to improve their product and service. So, they launched the CoolWallet S in early 2018. As of writing this review, the wallet is considered to be a major success. So, now that you have some context on the creators and developers of the CoolWallet S, we can start talking about the wallet itself. The CoolWallet S is the “world’s first mobile hardware wallet”. But what does statement mean, exactly? First of all, you have to know what a “cold wallet” is. Not to go into too much detail, cryptocurrencies are stored in two main types of wallets – hot and cold ones. Hot wallets are basically online interfaces and software – they are always connected to the internet. A cold wallet (exactly what Mr. Ou set out to create) is a hardware device which tracks your cryptocurrency on the blockchain – “stores” it in the wallet. Cold wallets do not require an internet connection. So, this is a hardware wallet review. But where does the “mobile” part come in, then? Well, the CoolWallet S is easily accessible on your phone – all that you need is an app. With it, you can perform all of the necessary and optional operations of the wallet. The CoolWallet S is the size of a standard credit card and has a built-in metal button. If you perform the “standard” amount of transactions per day – that being 2 -, the battery should hold for about 2 weeks on a single charge (it takes 2 hours to charge fully). It has a built-in lithium rechargeable battery (3 V, 15 mAh). When it comes to the CoolWallet S Bitcoin specs, the wallet supports the transaction signing algorithm ECDSA (elliptic curve – secp256k1). 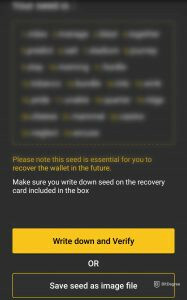 It is recommended to perform seed generation from the CoolWallet S itself. This is recommended because doing so from the wallet guarantees a higher level of security than doing it from the mobile app. The CoolWallet S allows you to track your cryptocurrency investments, as well as send and receive cryptocurrencies in the quickest of manners. The wallet also offers a feature of instantly swapping currencies. This is a great option for traders to have – especially those who partake in short-term cryptocurrency trading. The CoolWallet S is supported by both iOS and Android. It offers great security, supports all of the main cryptocurrencies and is even waterproof! The CoolWallet S supported coins are as follows: Bitcoin, Ethereum, ERC 20 tokens (Bitdegree’s BDG token is one of them! ), Ripple, Litecoin and Bitcoin Cash. On their official site, you will find that CoolBitX value their product at the price of $99 USD. The wallet itself costs $99 USD, but there is also a duo option (two wallets) for $159 USD, averaging at ~$80 USD per wallet. Taking a look at some other cold wallet prices in the market (I’m looking at you, Trezor), it’s probably safe to say that $99 or $80 USD depending if you buy one or two wallets for a cold crypto storage device is a very reasonable, middle ground price. Finally, let’s check out the box itself. After all, it wouldn’t be a proper CoolWallet S review without actually opening the product up and seeing it up close. The wallet comes in a sleek, trendy black box. Once you open it, you will be greeted by some nice food for thought by the creator and CEO of the company, Michael Ou. 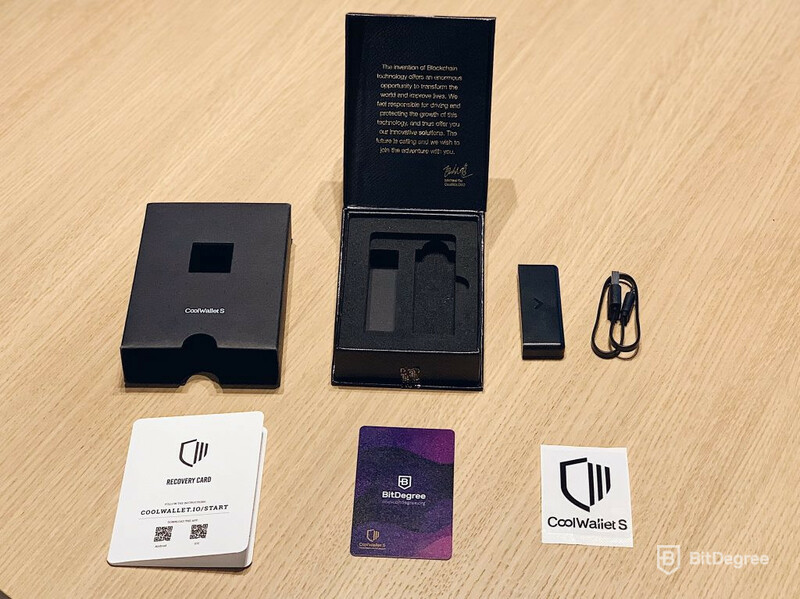 Inside the box, you will find the CoolWallet S recovery card, a sticker, the charging pad with a standard USB cable and, of course, the CoolWallet S device itself. All in all, it’s a pretty compact setup – there is no clutter or needless amounts of paperwork. The mobile app can be accessed in both the Android app store and on the iOS. Once you power it up, it will ask you to pair your device with it. 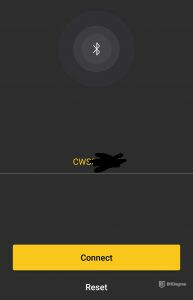 If you turn on your CoolWallet by pressing and holding the button on it, the app will ask you to confirm the device. Once you pair the device and the app, you’re good to go. The app offers a wide variety of different functions. You can check your assets, track your crypto investments, exchange, trade, send and receive cryptocurrencies. The app is aesthetically appealing and easy to navigate – it doesn’t encumber you with a ton of needless information or pop-ups. 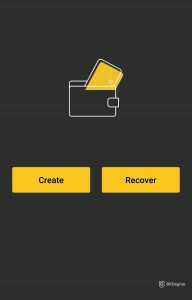 Now, what’s a CoolWallet S review without telling you how to set it all up, huh? The process is actually really simple and straightforward. I’ll divide it into a few simple steps. Step 1. 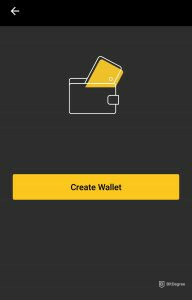 Turn on your wallet and navigate to the CoolWallet S application on your phone. Step 2. Your app displays a string of letters and numbers. That’s your wallet ID. Press connect. Step 3. Once you are asked to press the button on the CoolWallet S, do so. You’re paired! Step 4. Press “Create” on the app. Step 5. Now you must choose the length of your seed. It is recommended, however, that you set your seed on the wallet itself, rather than on the mobile app, for security purposes. Step 6. You will get a random generation of words and numbers. Either write them down or save them as an image file. Step 7. Once that is finished, all that’s left to do is press the “Create Wallet” button and that’s it! You are now the official owner of a CoolWallet S! Sending and receiving crypto coins is an essential feature of any crypto storing wallet. Since this is a hardware wallet review, we’ll talk about the Cool Wallet Bitcoin sending and receiving features. 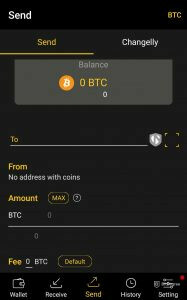 If you want to send Bitcoins, all you have to do is type the address of the wallet you want to send it to, set the amount and the fee. After that, finish all of the confirmation processes (on the CoolWallet S itself – press the button) and that’s it! The transaction speeds of the wallet are actually great, so it won’t take long until the receiver gets his or her amount of your Cool Wallet Bitcoins. 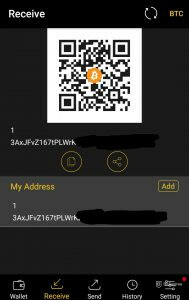 If you want to receive BTC, you gave the options to scan a QR CoolWallet S code or simply copy and paste it. It’s as simple as that! It is widely known and accepted that security is the main factor when it comes to choosing a cryptocurrency storage wallet. 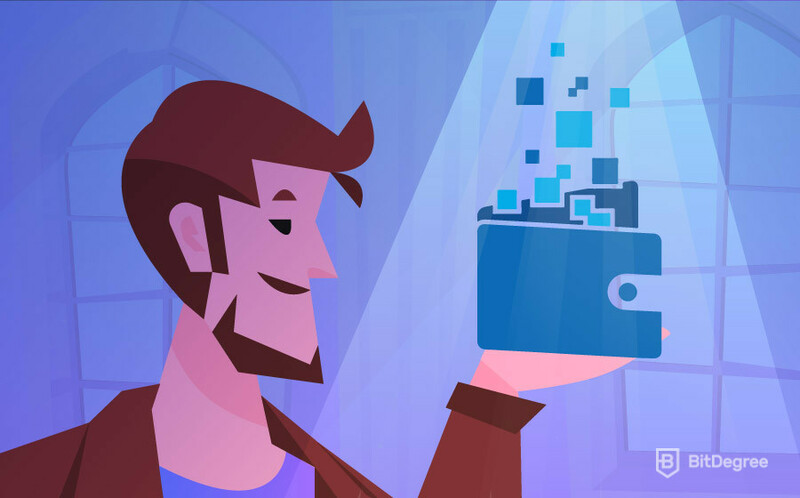 After all, as I’ve mentioned at the beginning of this CoolWallet S review, this wallet was born out of the idea for a super-secure and reliable crypto storage device! Who cares if you’ve got a really fancy looking wallet with hundreds of features and the slickest design ever if it fails in the security department? None of these things will matter if all of your crypto coins get stolen because of some bug or a simple fault in the security development procedure. With that said, let’s check out the CoolWallet Bitcoin storing and safekeeping security. First of all, the CoolWallet S requires you to pass a 3 step verification every single time that a transaction is performed. Although this might seem tedious at the beginning, it’s a great feature to help you secure your funds in the long run. Furthermore, the wallet is protected by the seed that you choose to set. It’s basically a recovery code-based system – you can make it as strong as you want it to be. 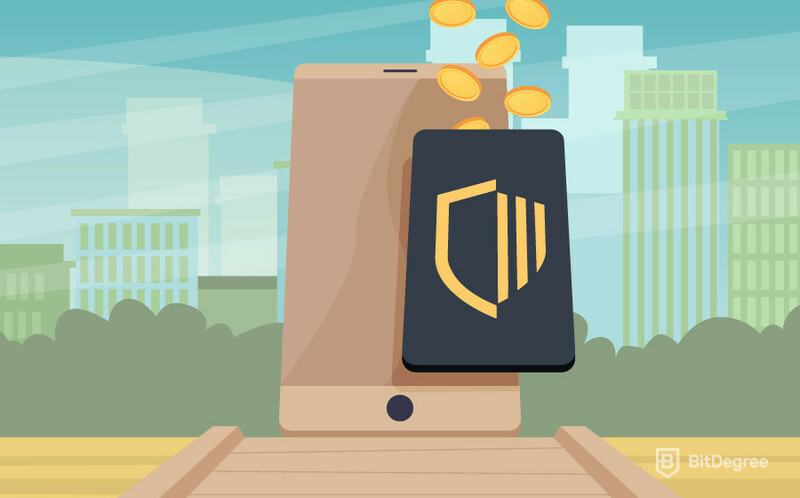 Finally, the wallet is protected by something that is known as the Secure Element – a microchip that makes sure that all of you transactions and currencies stay encrypted the way that they should. All in all, its’ probably safe to say that the CoolWallet S is pretty solid when it comes to the security side of things. It being a cold wallet is just a cherry on top of an already great security system. With all of that information said and done, the next smart thing to do would be to summarize what we’ve already talked about. After all, it wouldn’t be a proper hardware wallet review without a designated pro and con section, would it? Unique style and functionality. The CoolWallet S avoids the ever-popular bulky design options that a lot of other hardware crypto-storing wallets choose to utilize. 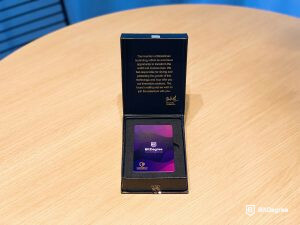 Instead, it’s a slim, aesthetically pleasing, credit card model-based cryptocurrency wallet that uses an encrypted Bluetooth connection instead of a USB or WIFI. Encrypted connection. The fact that the wallet uses an encrypted Bluetooth connection instead of WIFI or USB is just another argument for its security. Oftentimes, you are not going to be able to find a secure internet connection, especially when you’re traveling. Awesome package. 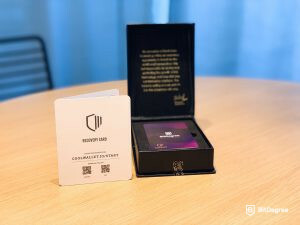 The box that the wallet comes in is really nice to open for the first time – it’s clutter-free, has a paper recovery card and sticker, and the wallet itself fits into your physical wallet because of its simplicity and slim design. Simple to read. The “e-paper display” is a great choice when it comes to having to read the information presented on screen. User-friendly. Both the wallet and the app are super user-friendly and simple to use. The whole setup process is quick and fluid, without any occurring issues. Cold wallet benefits. The CoolWallet S is always offline. The information is refreshed once the app is updated. This allows maximizing the security of the wallet to the fullest extent. The wallet isn’t open-source – YET! There are plans to make it open-source in the near future. No ability to import an existing wallet via QR codes, although this may also become a feature in the future. As you can see, there are little to no cons for using the CoolWallet S – all of the possible issues that you might face with the device will probably be resolved in the future (open-source and QR wallet transfers). As I’ve mentioned in the very beginning, the world of crypto coin storage devices is a tough one to compete in. That is why it’s so refreshing when once in a while there comes a gust of fresh air – and CoolWallet S seems to be that gust. One of the most important things when choosing a cryptocurrency wallet (other than the features of the wallet) is the vision of the company. If a company is greedy and is “only in it for the money”, it quickly shows both on their design and security departments. However, this is not the case with the CoolWallet S. Reading their story, looking at their journey, it’s pretty clear that CoolBitX have a vision that they aim to follow. Most companies, after having a tough time with their first product, would lose their reputation and credibility real fast. This was not the case with CoolBitX, though – they came back with CoolWallet S, one of the most successful crypto wallets in the market. Why is that the case? Well, the company has a strong vision that they strictly follow AND they are able to listen to criticism as well as feedback. This allows them to design for the customer, not for themselves. If you’re interested in checking the company and the wallet out, I hope your experience will be as pleasant as mine was! Also, if you didn’t find the cryptocurrency that you were looking for, just keep in mind that the company is constantly updating their “Cool Wallet supported coins” list. Good luck!